Casey Trees' 2009 High School Urban Forestry Summer Interns have officially reported for duty. After a very selective process, nine students were selected for the 8-week long internship. Their summer will be very full and very rewarding. In addition to watering and mulching trees, students will be exposed to a variety of green careers such as arboriculture, urban agriculture, organic gardening, and more. Interns will also be manning our summer bike watering program - Water By-Cycle. Be sure too look out for them and other bicyclists on the road these next few weeks. Check back here each Wednesday to read what the interns are up to and learning in their own words. Each intern will be a contributing author to the Tree Speak blog. 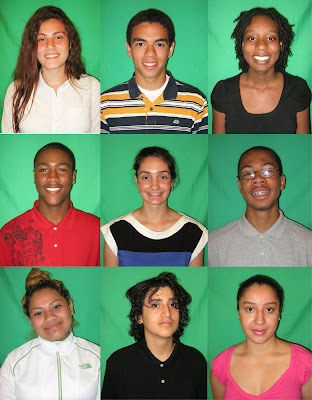 Get to know each of the interns - Waaiz, Evan, Jonathan, Jaine, Taiysha, Heydi, Lina, Alex, and Nina - here. Learn more about the internship program here.